Having successfully worked with us in the production of a video for their new labor and delivery unit, we were pleased that the Dallas Medical Center returned to Rainmaker when they wanted to roll out an upscale room service program. Our goal was to promote the program as wholesome and nutritious, without even the whisper of an “institutional” feel to it. 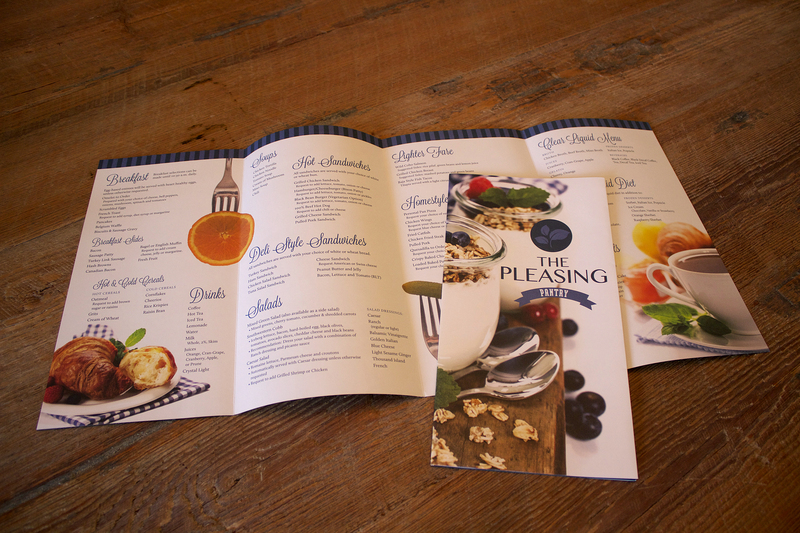 We recommended an uncoated paper stock and a large, eye-catching format for the menu to give it a warm and inviting quality. To reinforce the program’s identity we introduced navy and slate blue which complement DMC’s corporate colors. We then added images of fresh fruit and tasty, healthy dishes. 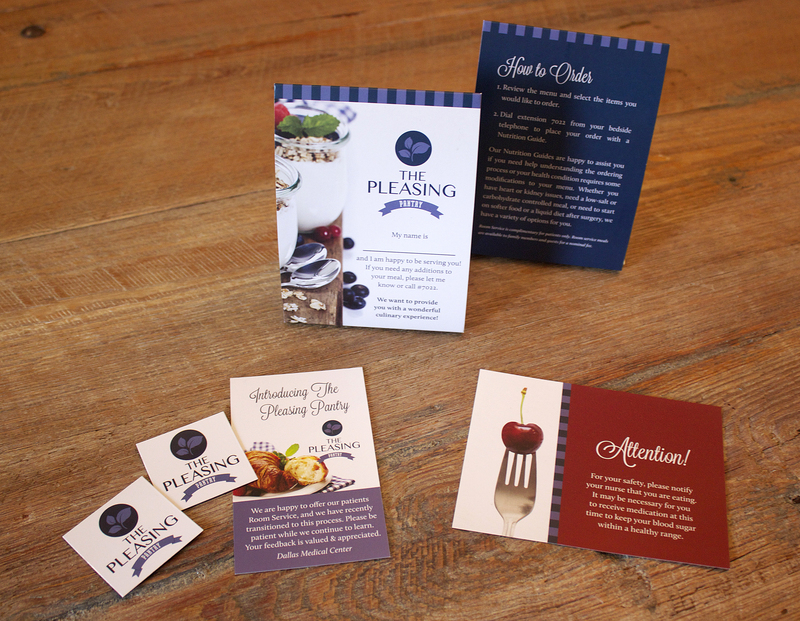 We carried the design throughout the campaign on pieces including table tents, announcement cards, and door magnets.